A one or two day intensive. Learn the experiential five-step process! Feeding Your Demons is a powerful, transformative process for facing and dissolving fears, obstacles and emotional challenges. The five-step process of Feeding Your Demons was developed for Westerners by Lama Tsultrim Allione, and draws upon an ancient Tibetan Buddhist practice originated by the legendary yogini, Machig Labdron, over a thousand years ago. This method is as effective today as it was then, a timeless doorway to healing and freedom. We will explore the historical and spiritual origins of Feeding Your Demons, introduce the 4 Families of Demons, and experience this elegant five-step process through demonstration, group guided sessions and partner work. Roberta Godbe-Tipp, Ph.D. is a Transpersonal Psychotherapist with over 33 years of professional experience. She leads retreats and workshops focusing on the integration of meditation, spiritual transformation and non-dual contemplative teachings. Jeffrey Tipp, LMFTI has over 40 years of experience practicing and teaching contemplative disciplines. Both Jeff and Roberta are Certified Therapists and Authorized Teachers of Feeding Your Demons. Roberta and Jeff were wonderful facilitators and teachers of this work which I found to be elegantly simple yet psychologically and spiritually very rich. Their teaching was clear, insightful and well-paced throughout the day, making it easy to integrate the teachings. It's clear they genuinely love their work and greatly enjoy sharing it and they both bring complementary skills to their teaching style. I appreciated their willingness to share sometimes very personal stories and experiences to help shed light on what is possible with this approach. I would definitely recommend (and have recommended) them to friends and colleagues. You will get what you came for, and more, no doubt. In The Feeding Your Demon practice, both Jeff and Roberta are meticulously thorough in checking in and monitoring this transformational process. 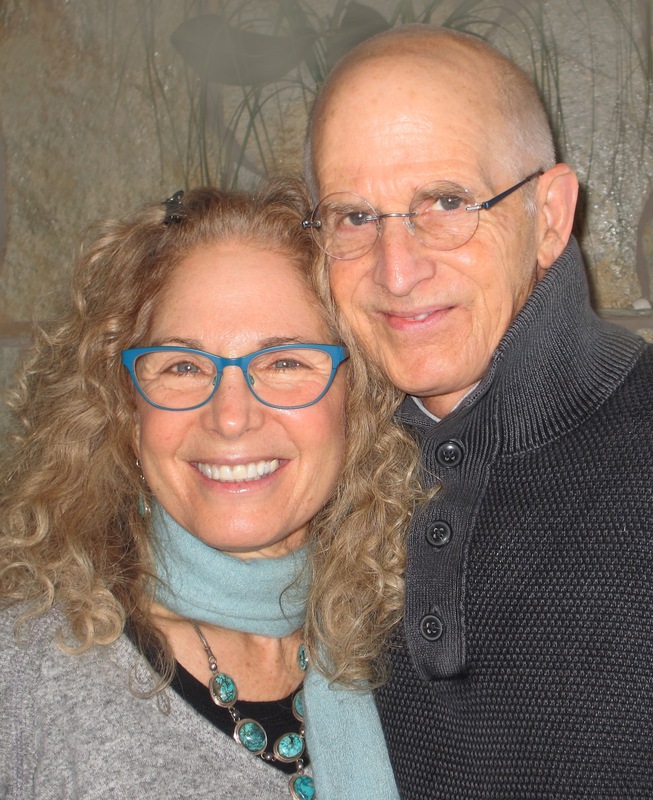 Jeff and Roberta deserve high accolades for authenticity in their teaching style and as co- therapists leading an experiential process. As a layperson, I experienced a profound depth of cultivating my inner witness. Having been around many therapists, and teachers of transformational journeys as a daughter to a pioneer in the field of human potential, I believe that The Feeding Your Demon process is unique. Lama Tsultrim has given human beings a finely crafted technique to manage the illnesses of our times: low self esteem, addiction and obessive/compulsive disorder. The seamless way in which both Jeff and Roberta catalyzed, orchestrated and yet just allowed the work to unfold was a testimony to their own levels of self mastery. These two delightfully surprising people are truly dedicated! Thank you. Thank you. Thank you! The weekend was very beneficial for me. Roberta and Jeff created an environment where everyone could feel comfortable. Whether you were a therapist or not, had read Feeding Your Demons or not, had knowledge of Buddhism or not, didn't matter. Your style and presentation included all of us - a very difficult task. Feeding Your Demons is a practice everyone can benefit from. The pace of the weekend allowed us to practice what was taught with time to reflect on our experiences. I would recommend this weekend to anyone who is interested in learning more about themselves.